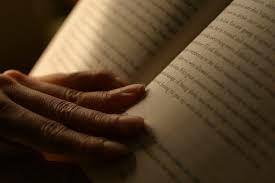 There is a saying that goes – Books are a man’s best friend. When I say books, I am talking about fiction, stories made up or inspired by real events but still changed to suit the writer’s imagination. It all comes down to imagination. When we read a novel, our imagination is fired. We are able to visualize characters, places and every scene as we interpret the description. Everything is left to our imagination and interpretation. Reading takes a person to a whole new world where there may be magic or dragons or witches or fairies. Where people can fly or animals and insects and even vehicles can speak. Once you immerse yourself in a book, you develop a relationship with the characters, the kind you would never have imagined. You can share their happiness and their sorrows, we laugh at jokes, smile at the most wonderful of situations and cry when the character cries. We cry for them, for their sorrows for their life. We develop a rapport that surprises us and makes a lot of people feel out of depth. But that is okay. It is enough to realize that you have entered the world created by the writer and are now experiencing everything he/she did while writing the story for us. I encourage more and more people to read so that they experience the joys of reading and the joy of disappearing into a new world for a while.